Enjoying the latest Ultraman series that is Geed? Well, here are the titles and summaries for the 3rd up to 5th episode of Ultraman Geed for you to keep updated. "Ultraman Zero arrives on earth with a new mission knowing the trouble that the earth has been lately. He saw the courage of a man named Reito Ikaguri who sacrificed himself to save a boy from danger and decided to merge with him. Meanwhile, Riku encounters a boy with mysterious powers and goes on to meet him but Darklops Zero appears before them." "Riku and Raiha buys a motorcycle with their own hard earned money until it was stolen. Riku goes after the thief who was a woman and to his surprise, this woman created a blade of light which restrained him. Later Riku meets his childhood friend named Moa Aizaki and soon after, Eleking appears to cause some mayhem." "Riku meets a mysterious healing comedian named Takashi Arai, who is secretly the host of a space being called Mocco, who might have the power of the little star. Soon after, Arstron targets Mocoo. 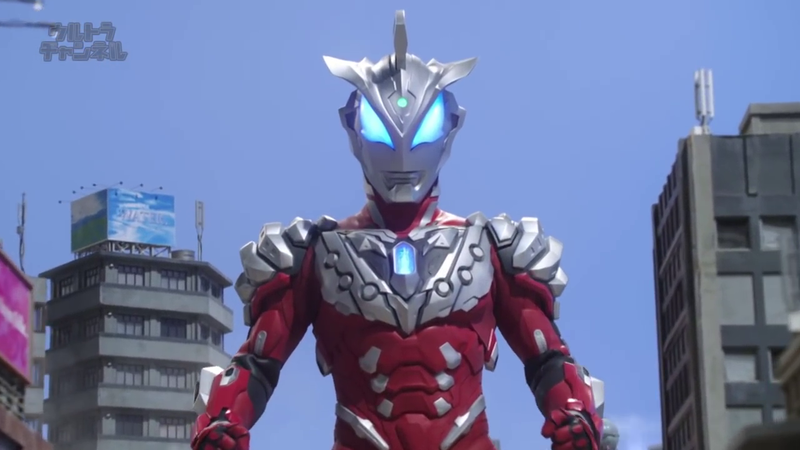 To defeat this new threat, he gives Riku the power to transform into Ultraman Geed Acro Smasher."